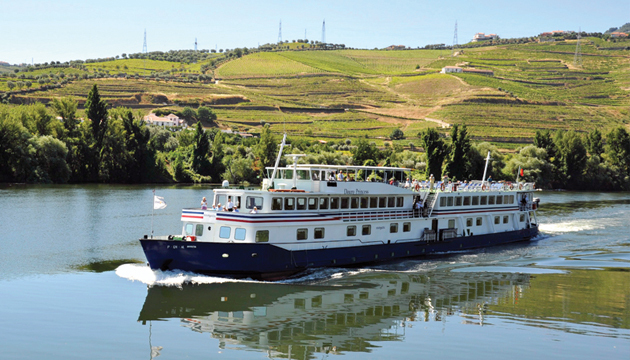 This classic hotel ship has 40 cabins with a capacity for 80 passengers. All cabins have private bathrooms with shower, hairdryer, air conditioning and television. 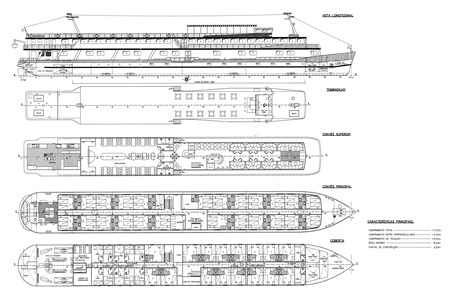 Of the 40 booths, 24 are located on main deck with panoramic windows and not fixed beds which can be put together or separated, and the remaining 16 are located on the main deck with small windows and fixed beds. This ship has a lounge bar with a dance floor, shop and restaurant, and bar with internet access via Wi-fi. In a few words it should be mentioned that all ships of the fleet are equiped, among other equipments, with electronic navigation systems, several communication bands, life jackets for both adults and children, rafts, floats, fire detection and extinguishing devices (fixed and movable), a complete on board pharmacy capable of answering to first aid situations.